Polylast Bunker Liner improves the flow of water through your bunkers by becoming an extension of your drainage system. The porous material allows water to percolate down into the soil at any point of contact which helps to prevent washouts. At the same time, the liner keeps your sand clean from migrating rocks and dirt from the native subsurface. 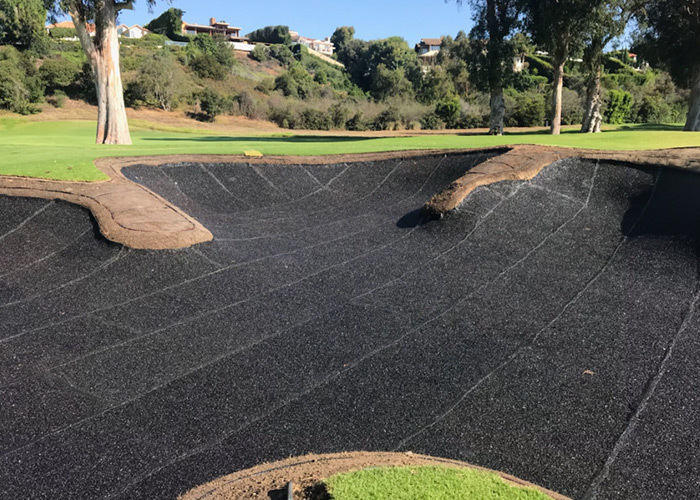 Polylast Bunker Liner installed at The Riviera Country Club. 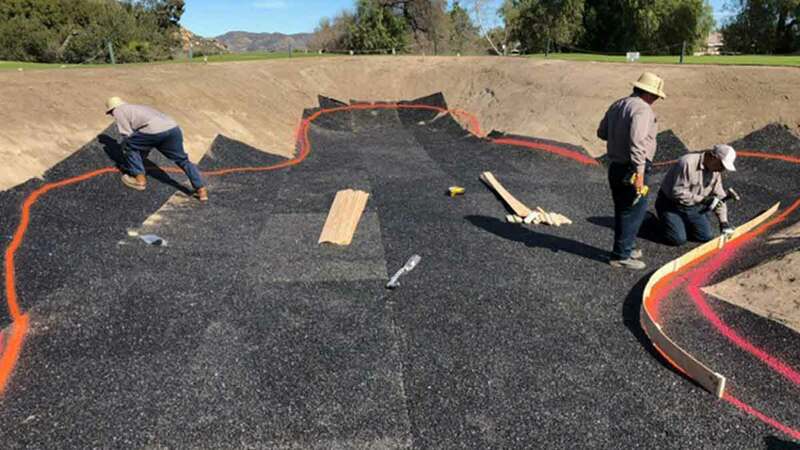 Polylast Bunker Liner is prefabricated and delivered ready to lay, it only requires placement of the preformed pads, the seams of which may be stapled and glued together. 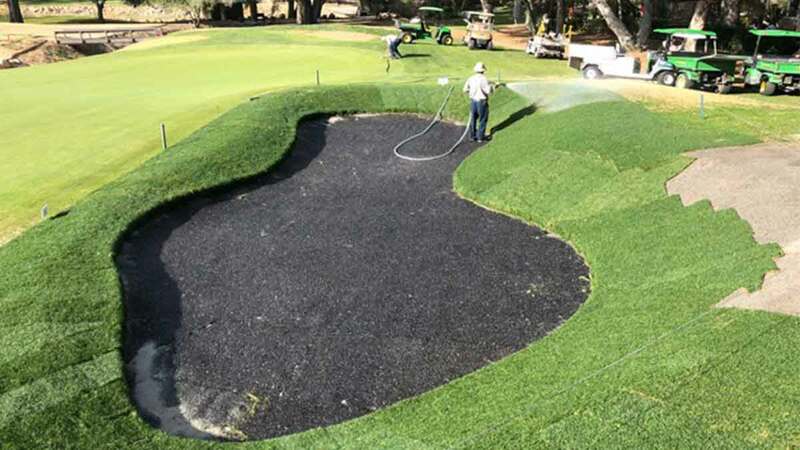 You can calculate the cost of your Polylast Bunker Liner installation by using these numbers: 200 square feet installed per man hour, and your hourly labor rate. 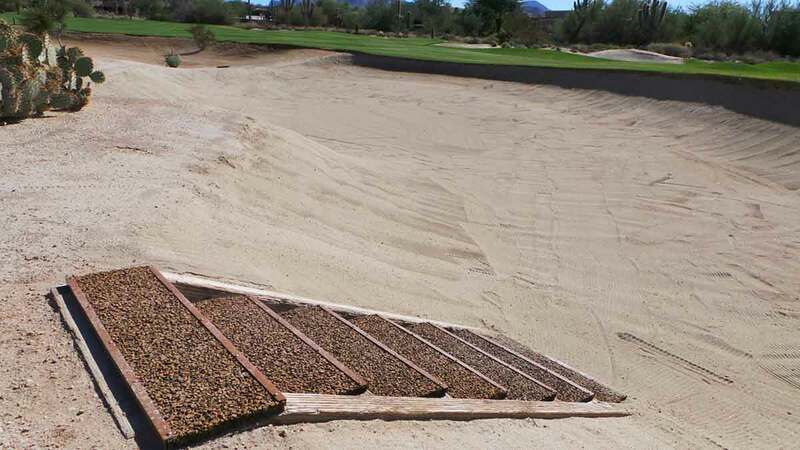 Even if a Polylast Bunker Liner is installed on a nearly vertical bunker wall, the water will flow through at the point of impact instead of pooling in the bottom of the sand trap. You read that right, over 7,000 inches per hour. 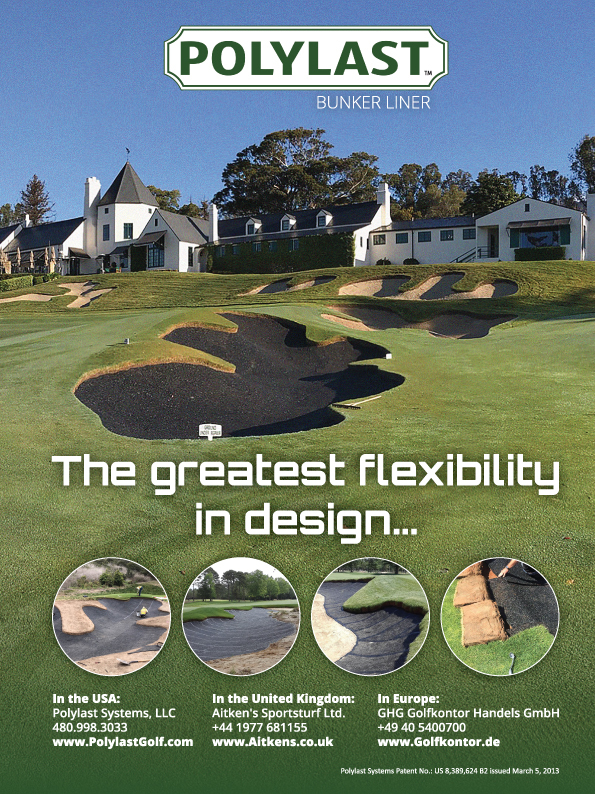 There is no other product on the market today like the, patent pending, Polylast Bunker Liner. 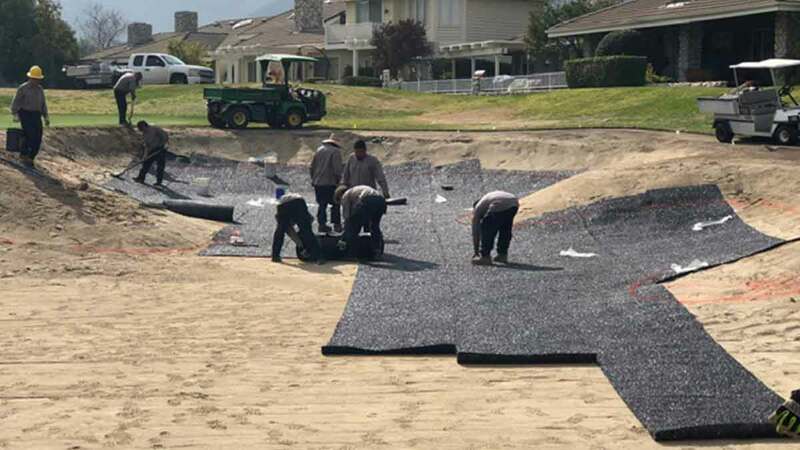 Polylast Bunker Liner is porous, allowing water to flow through freely, while preserving the sand above. This demonstration shows clear water running through the bunker liner pad and onto the ground below. Although not technical at all, this was the very first test done in our parking lot to “see if this thing would work”. Turns out it worked very well as many ASTM tests later, and superintendents and contractors from around the world, would confirm. 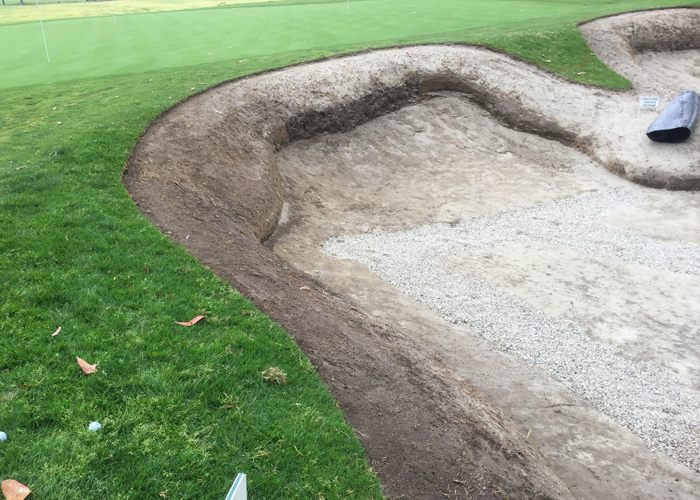 Polylast™ Bunker Liner is thin and flexible, allowing it to easily contour to the curves and dips of your bunker, simplifying preparation. 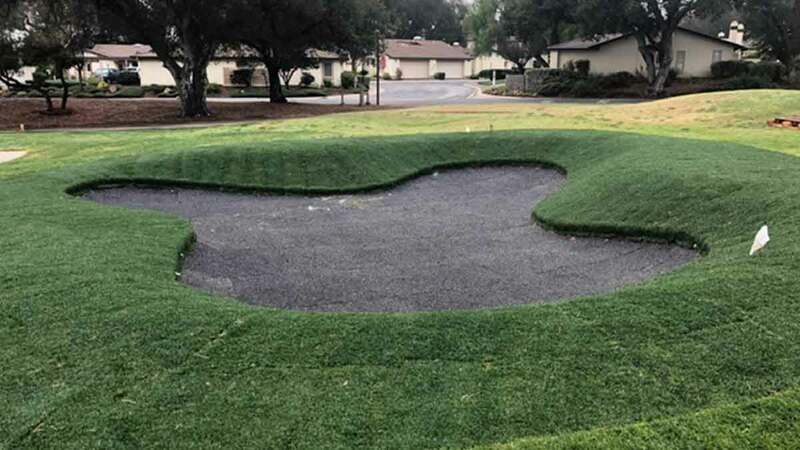 Polylast™ Bunker Liner is thin enough that it can be placed under the turf at the edge of your bunker, creating a seamless edge while allowing the turf to thrive. This video shows Polylast™ Bunker Liner easily withstanding the grinding and turning of a 6,500 pound forklift wheel. 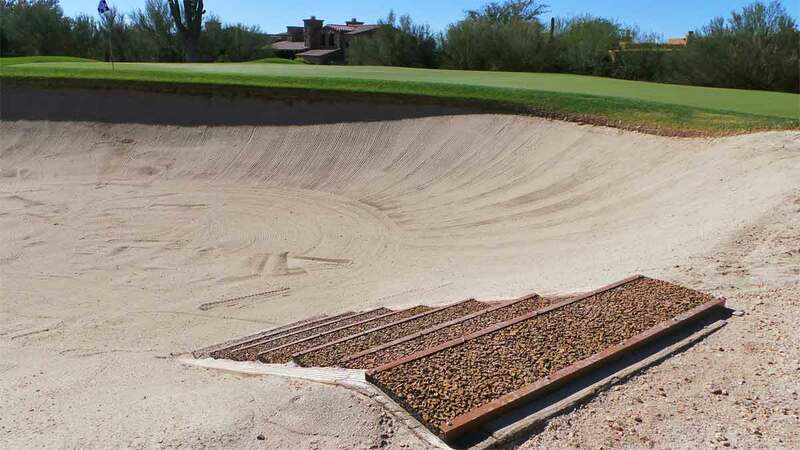 Many bunker liners are damaged by machine raking. 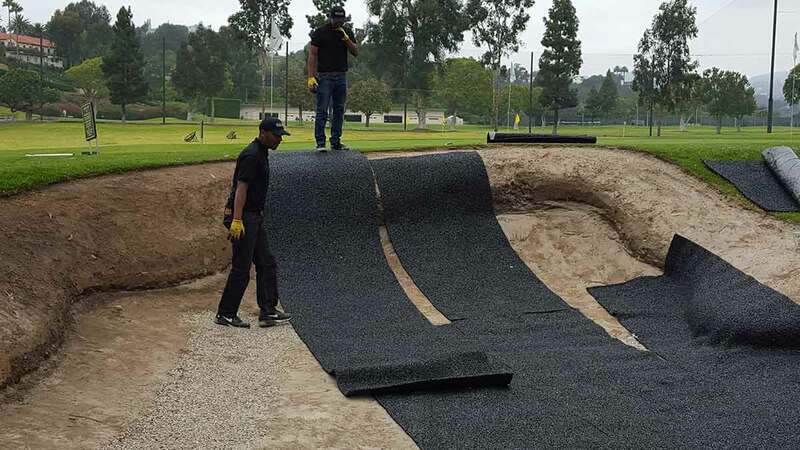 We put Polylast™ Bunker Liner to the test. This video shows Polylast™ Bunker Liner easily withstanding the abuse of a machine rake. 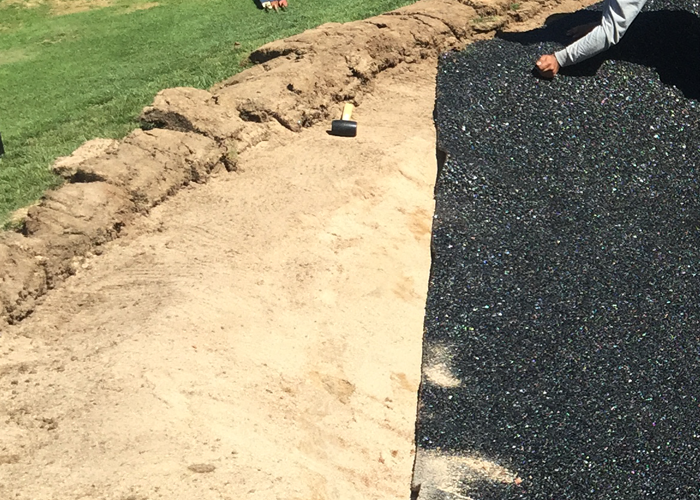 Polylast™ Bunker Liners are incredibly strong, but easy on your golf clubs. This video shows that Polylast™ Bunker Liners will not damage your golf clubs if you hit the liner. Polylast Bunker Liner easily holds up to a weed wacker / weed eater / string trimmer, making it very easy to edge your bunker’s without damaging your trimmer or your bunker liner. 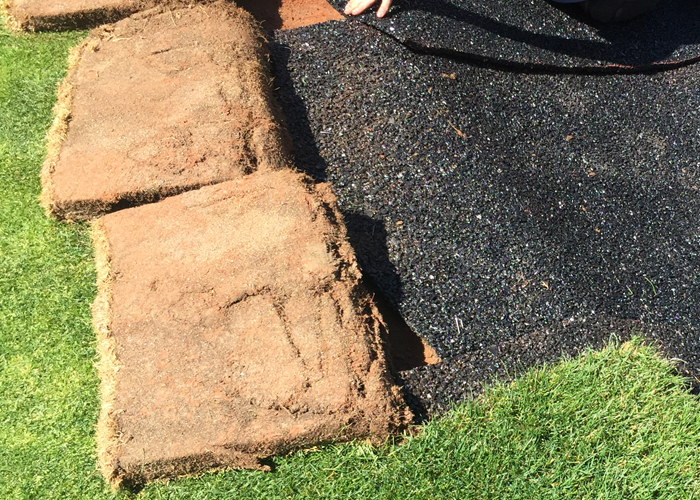 The same material that Polylast™ Bunker Liners are made from, can easily be applied to other locations on a golf course. Polylast Bunker Liner is unaffected by cold weather, maintaining its strength and flexibility to minus 40 Fahrenheit eliminating any concern about breaks or separation from freezing. Contact us if you have a question about our product or help finding one of our 65+ national and international dealers for surface installations.